''This is 29, Acacia Road. And this is Eric, the schoolboy who leads an amazing double life. For when Eric eats a banana, an amazing transformation occurs...Eric is BANANAMAN, ever alert for the call to action!'' Bananaman is the speedy, super-strong superhero with the brawns of twenty men, but certainly not the brains. 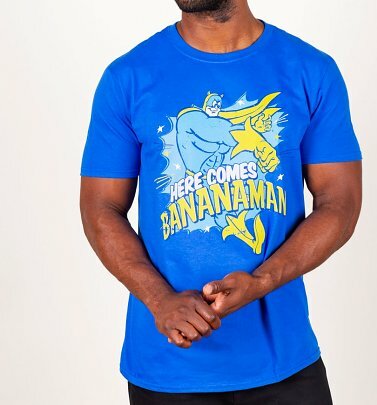 If you're a fan of this burly buffoon, you'll go bananas for our Bananaman T-Shirts and Fancy Dress - sure to ap-peel to admirers of quirkier Superheroes!